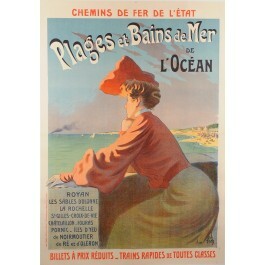 This is a poster for a dozen sea resorts located on the Atlantic Coast. 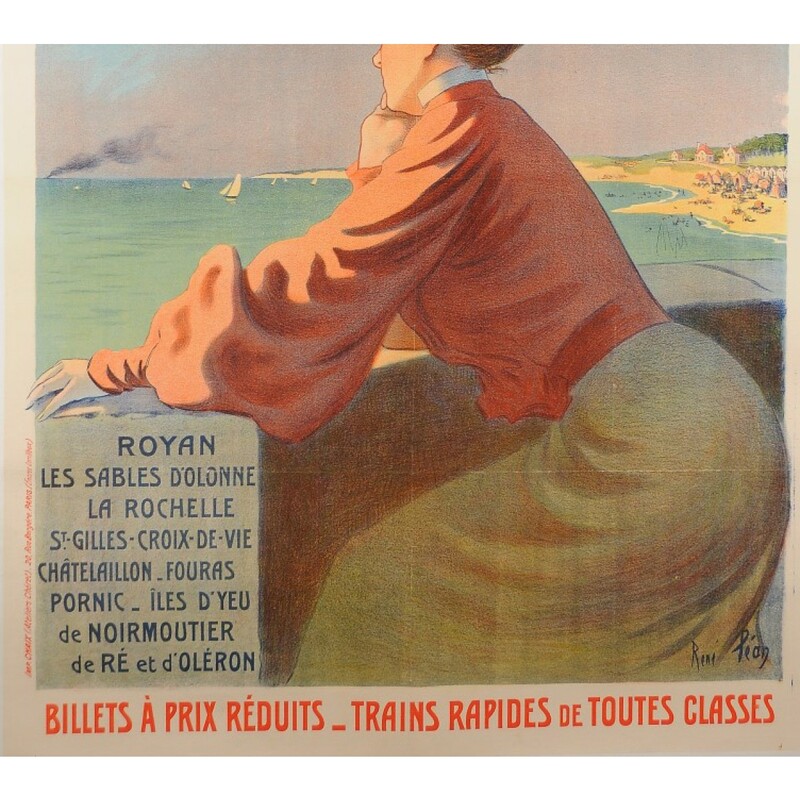 It was commissioned by the French State Railways and was promoting its reduced fares and rapid trains in all classes (they were three different train classes at the time). 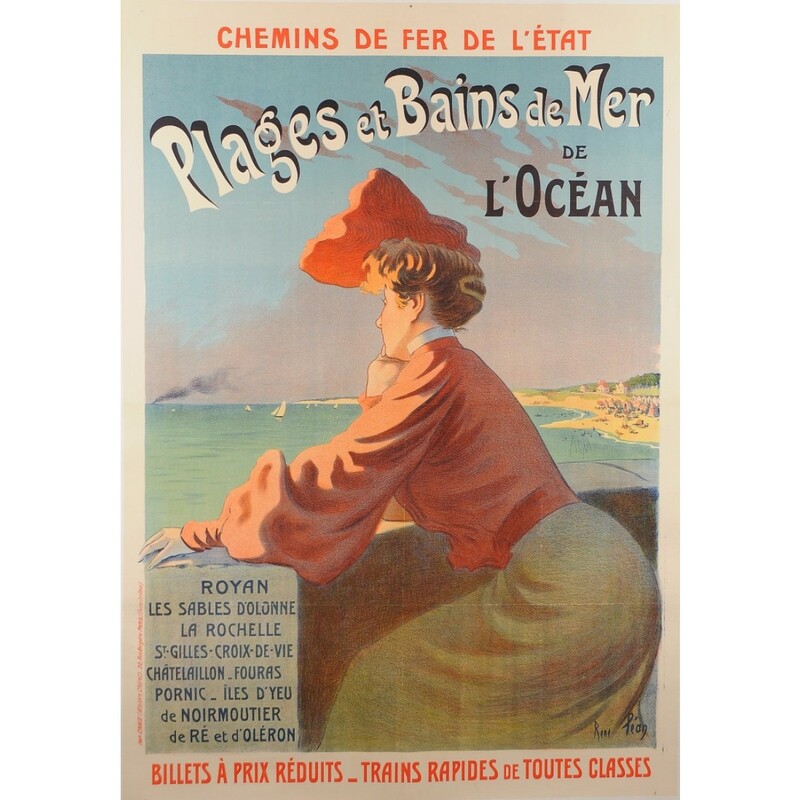 Colour lithograph, printed by Chaix, Paris,.